Riverfront Park, one of the City's most beautiful parks, is a 30.2 acre park that parallels the scenic Patuxent River from the historic dam ruins to U.S. Route 1. The park is located adjacent to Laurel Municipal Pool and the Laurel Museum. The Park features three picnic pavilions, a waterless restroom structure, parking, 1.5 miles of paved hiker/biker paths, tot lot, picnic tables and grills throughout the park, open play areas, scenic wetland area and historic dam ruins. The pavilions are available for rent to private groups or organizations. However, if they are not rented, they are available on a first come, first served basis. Admission to the park is Free! The park is open daily, but closes at dusk. For information on rentals in this park, click here. 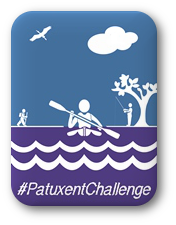 The Department of Parks and Recreation is very proud and excited to be taking part in the year long Patuxent Challenge. Riverfront Park is one of 14 sites along the beautiful Patuxent River that you can visit as part in the program. Please click on the brochure below for more information on how to participate.